I was going to separate things by product lines, but then I thought reviewing all the canned fizzy drinks made more sense. Fizzy drinks are of course what we’d call pop in Canada… but how often do you get to use the word “fizz” in Canada? Might as well take advantage of this opportunity to say “fizzy” as much as possible. 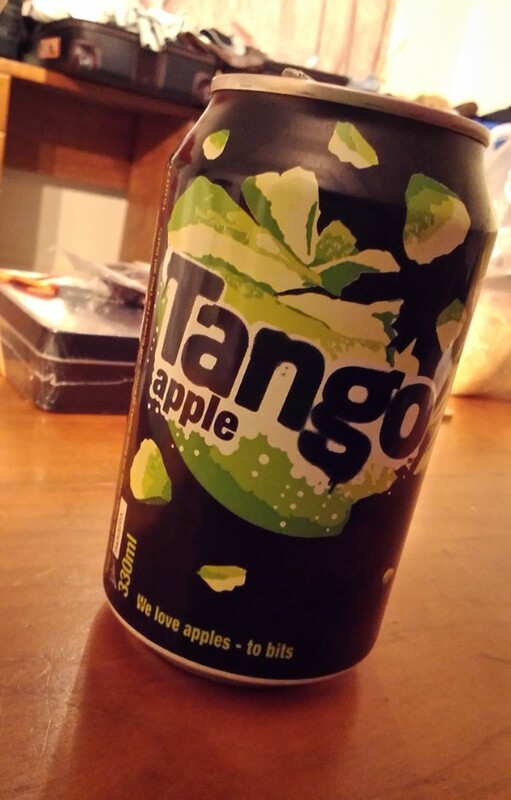 The first canned fizzy drink we had in the UK was Tango Apple. Jack: Probably my favorite fizzy apple drink to date. It’s not overly sweet, has a strong apple taste, and the fizz stays. Andrea: This drink is my dream apple drink. It’s fruity without being overtly fake and the fizz doesn’t kill your tongue when it lands. 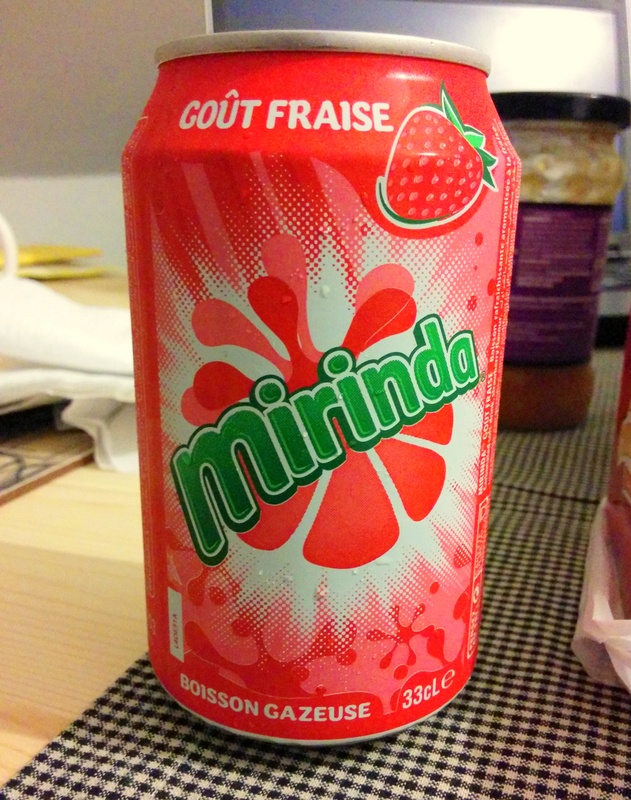 Overall, this is still our favourite fizzy drink out of everything sampled so far. This should be in Canada but unfortunately it isn’t. 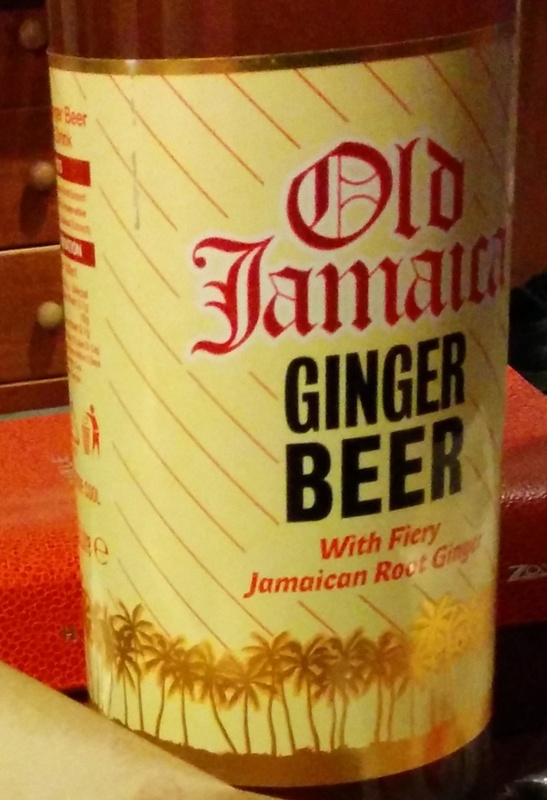 Then we were excited by Old Jamaica Ginger Beer (non-alcoholic) but it proved to be less gingery than we had hoped for. I realize that this is not a canned fizzy drink. Whoops, another rule broken. Jack: It’s got a good ginger taste to it, but just a little too sweet and not enough spice for me. Still prefer that PC brand myself. Andrea: Tasty, but there isn’t enough heat. President’s Choice, you still make the best darn ginger beer around. Surprised? So are we. Who would’ve thought that a Canadian brand would have a stronger ginger taste than “Fiery Jamaican Root Ginger?” This brand is available in Canada as well, so go ahead and compare the two. Thinking about President’s Choice made us consider the nearby grocery store’s own name though, so we went for a few small packs of Morrison’s fizzy drinks. Morrison’s Cloudy Lemonade was a pleasant surprise. Jack: Lemony. I don’t know what the ‘cloudy’ means though in terms of taste. But then, I’ve never tasted a cloud before. Andrea: I liked the fact that sugar was not a feature of this lemonade. However, Morrison’s Dandelion and Burdock was a whole other can of surprises. Jack: Not my kind of drink. Liquorice’y taste to it. Ugh. Andrea: I was hoping for the taste of Redwall but this turned out to be an almost savoury sort of root beer. It’s oddly addicting, as strange as that may sound. Jack: This was not good. Not much fizz, overly sweet; I felt like I was drinking syrup. Andrea: I was excited at the prospect of a strawberry drink but this one was so artificial we both didn’t really want to finish it (although we did).